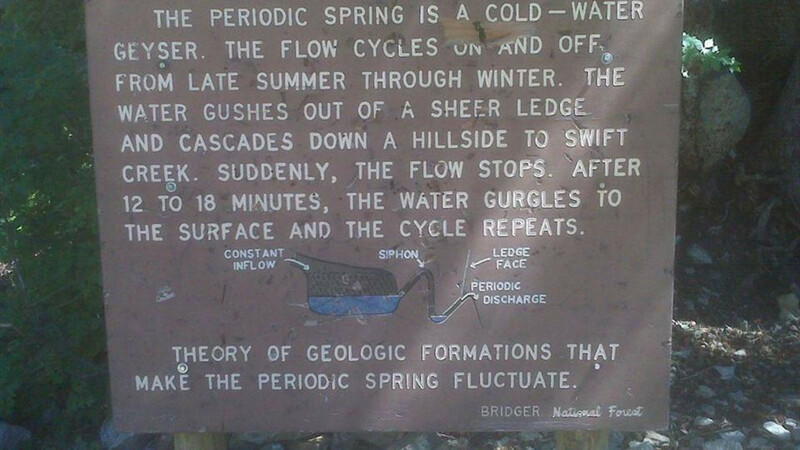 "The spring the breathes" - The Periodic spring is the largest of three intermittent springs in the world. From late August to May, the flow cycles on and off at regular, predictable intervals. 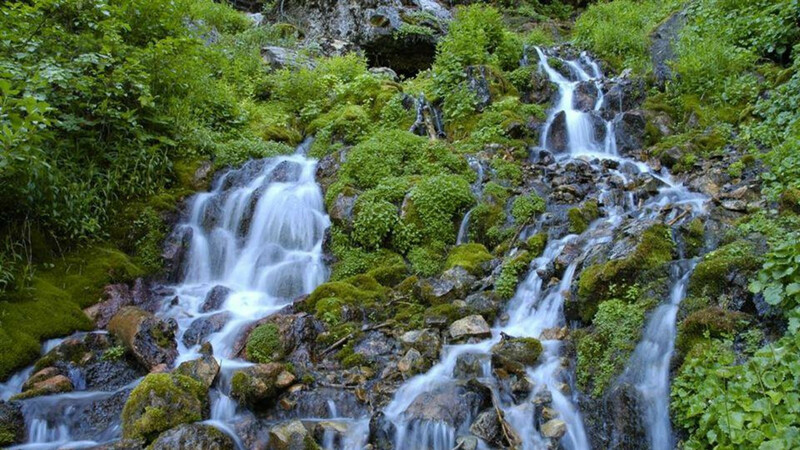 The spring runs up to 100 cubic feet per second of clear, ice cold water for about 18 minutes. The water then begins to subside and gradually ceases altogether for 15-20minutes. The Spring is located approximately five miles East of Afton, Wyoming. Nice little hike for all ages.